Former President Bill Clinton campaigns for his wife and Democratic presidential candidate Hillary Clinton at the West End Community Development Center in Greenville on. During the second night of a Black Lives Matter peace rally, a group of protestors cheer in NOMA Square in downtown Greenville before being asked to leave. A Chinook pulls water out of Lake Oolenoy near Table Rock State Park on Tuesday, November 15, as firefighters continue to battle wildfires. 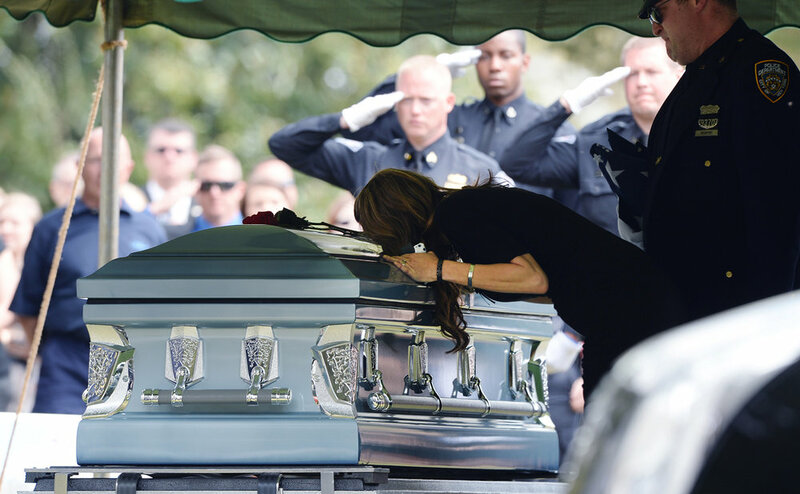 The wife of Greenville City Police Officer Allen Jacobs leans over his casket at the graveside service at Coleman Memorial Cemetery in Travelers Rest. Sybrina Fulton, mother of Trayvon Martin, wipes away a tear while speaking during the 34th annual Dr. Martin Luther King Jr Commemorative Service called Honest Conversations: Listen. Reflect. Act. Progress. at Clemson University's Brooks Center. President Bill Clinton, center, looks up at a Mauldin Fire Department truck while being given a tour of the firefighting program at the Golden Strip Career Center in Mauldin, S.C., by instructor Jim Deese, left. 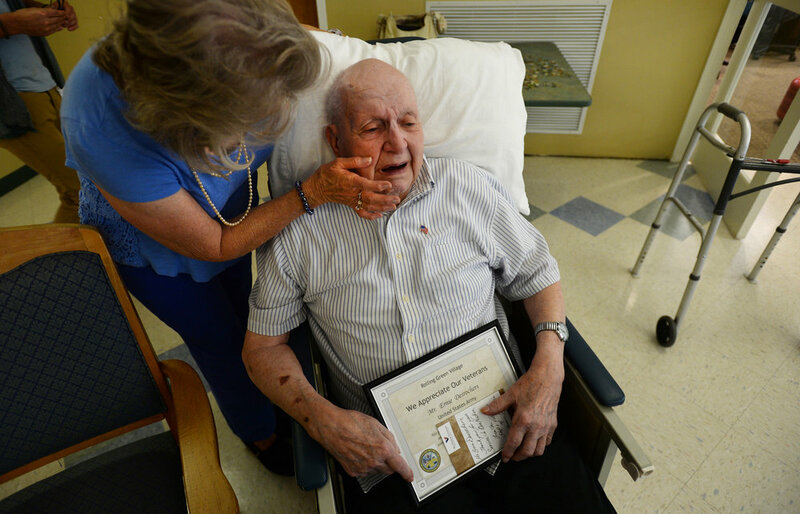 Carol Cole, left, congratulates her friend and Army veteran Ernie Desrochers after he received a certificate of appreciation and an American flag pin from Lutheran Hospice at Rolling Green Village on Tuesday. Todd Kohlhepp in handcuffs and an orange jumpsuit walks with deputies Saturday, November 5, 2016, on the property where a missing woman was found chained in a metal container in Woodruff. Cole Miller, left, tickles Salee Allawe as they attend her last doctor's visit at Shriners Hospital before she travels home to Iraq. 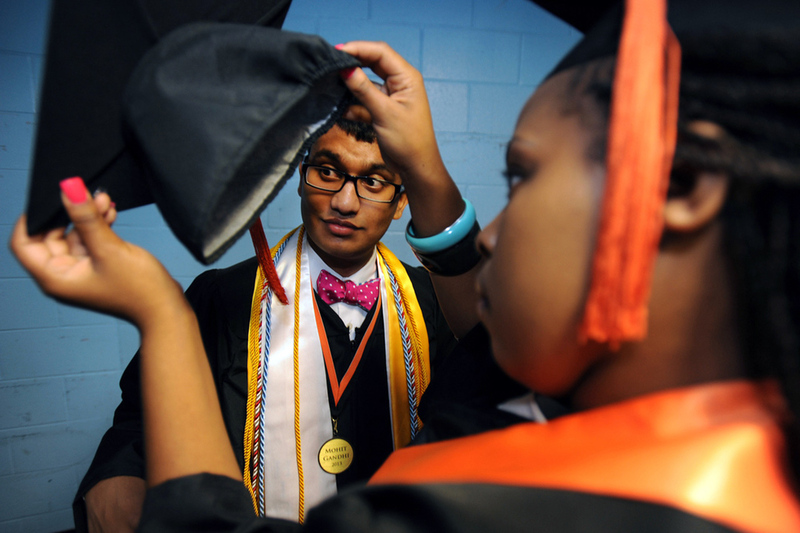 Tamera Fowler, right, helps Mohit Gandhi, left, with his cap before the start of Southside High's graduation ceremony. The family of Laurens County Deputy Roger Rice leaves Forest Lawn Cemetery in Laurens after his burial on Sunday. Peter Rosset, 11, who has been diagnosed with acute lymphoblasic leukemia, gives a private piano performance for Greenville Symphony Orchestra Conductor Edvard Tchivzhel at the Peace Center. Rosset's Make-A-Wish Foundation wish is to receive a baby grand piano. The congregation of Mountain View Baptist Church prays after a Children's Resurrection Parade on Easter. Too much rain has taken its toll on crops throughout the state. However, Tommy Fisher, owner of Fisher's Pick Your Own, said his crop of peaches has fared well as contract workers bring in the harvest on his Greer orchard. Construction workers gather to pray around the body of one of their coworkers after local fire departments extracated his body from a construction accident on Scuffletown Road in Fountain Inn. Tomie Gaines, a Buffalo Soldier, salutes during a Veterans Day Ceremony at the Historic Richland Cemetery. Randy Deaton of the City of Greenville goes into a manhole at the intersection of Wedgewood and Broughton drives to line the interior with cement. Fans cheer for the winner of the Greenville Hospital System USA Cycling Pro Championships. A baseball shatters the press box window as the Greenville Drive hosted the Greensboro Grasshopper at Fluor Field. Clemson University football player James Davis reacts to the news that Coach Tommy Bowden will no longer be coaching the team.